Dawn Astle: Explain … I wish I could!!! I’ve sat and watched great performances. Beating Arsenal at home, doing the double against Stoke, beating Everton away, Man Utd at home, a draw against Leicester away (which we should have won) and then some dreadful performances against Villa at home, Norwich home and away, Swansea, Bournemouth. Bristol City were so unlucky not to beat us in the 3rd round of the FA Cup, Peterborough should have beaten us in the next round and just when you think it might be our year we were shocking at Reading and absolutely deserved to lose. Full of smiles and expectation before kickoff and then back to reality!! That’s it with us, you just don’t know what to expect week in week out. Do you feel Tony Pulis was and is the right man for the job and how do you assess the style of football he has your team playing? What is your view of our old boys, Stephane Sessegnon, James McClean, Craig Gardner and a former loan star of ours, Jonny Evans? Jonny Evans – for me, our player of the season. He’s played in a variety of positions showing his versatility. A real class act, we are so lucky to have him. James McClean – started off well, full of energy. A 100 per cent player who always looks like he’s giving his all. I think he does impress the fans with his commitment but he’s had a bit of a dip in form recently. I’m sure he’ll be back. Craig Gardner – I think he suffers a bit as he’s asked to play in a variety of roles, full back, wide right, centre midfield. I think he’ll be a bit more consistent when he’s in a solid position. Stephane Sessegnon – Sess. On his day, unplayable and when he gets the ball he seems to lift the crowd. It’s just a shame he doesn’t get more goals. 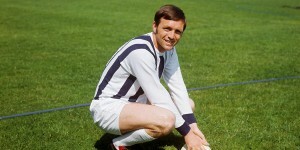 We have featured it previously but please tell us about the Jeff Astle Foundation. What special memories do you have of your dad and how would he have fared in the modern game? I’m 48 now, I was born just before we won the FA Cup in 1968 so sadly, I don’t have any memories of dad in his prime. I do remember his Testimonial though. I was six years old and I remember seeing this man with a big beard. It was George Best. He had kindly “guested” for dad and I remember he was already waiting for him in the lounge area as we arrived. How would Dad have fared in the modern game? He would have been just fine. We are told many stories of dad’s playing career, of how he was a star in his pomp. 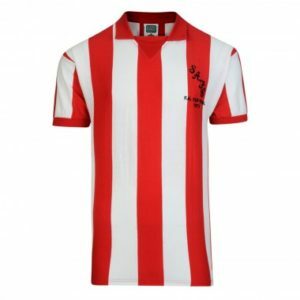 Leading goal scorer in the old First Division twice, which was no mean feat, especially in those days with fellow goal machines such as Sir Geoff Hurst, Jimmy Greaves, Francis Lee, Joe Royal, Ron Davies, Sir Bobby Charlton just to name a few. 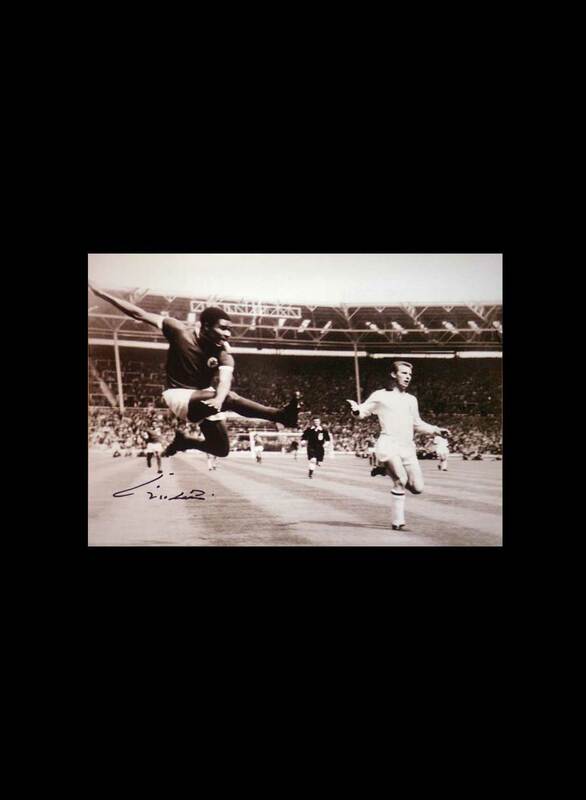 He was part of Sir Alf Ramseys 1970 World Cup squad in Mexico. The first player to score a goal in a FA Cup Final and League Cup Final at Wembley. 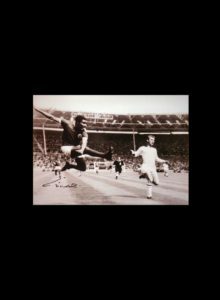 But his greatest achievement was scoring the winning goal 1-0 WBA v Everton 1968 FA cup Final, where he became one of only seven players in the history of the Cup to score a goal in every round of the competition, including the final. Yes, I think he’d be just fine. I guessed he’d figure among your personal highlights from watching Albion. What about your lowest points as a supporter? I don’t even have to think about this one. Losing to Aston Villa last season in the FA Cup quarterfinal at Villa Park. It was when we were taking the Justice for Jeff banner to all the grounds and my sister Claire and I were so desperate to take it to Wembley. I don’t think I’ve ever been so bitterly bitterly disappointed. We usually talk about the game all the way home in the car. Not this time. We never said a word. It took weeks to get over it, something I guess only a football fan will understand. I’m still gutted about it now to be honest. And feel free to be loyal to Jeff when I ask for your all-time greats in Albion colours ..
Dad, of course, he might not have been the best ever player, but my.. he is most definitely the most loved. 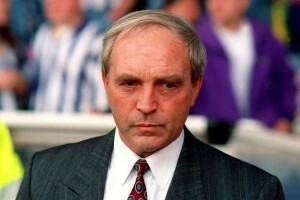 He took the club and the fans to his heart and they certainly took him to their hearts. There are all time greats and great club men. There is a difference. Talking to older supporters they would say WG Richardson, Billy Bassett and, after the war, Ray Barlow and Ronnie Allen, the latter a complete player. Great club men, well you can’t look further than dad’s old friend Tony “Bomber” Brown. Who – if you dare – should have been allowed nowhere near the colours? None really. If they play for my club I will support them. There are some who I think weren’t good enough. There are those who have been fantastic for us and then go and “blot their copybook” with antics off the field. I would say I am more disappointed when players do that, I don’t like anything that reflects badly on the good name of my club. And what is your take on the never-ending Berahino saga? Very sad, because if he had knuckled down and do what he should have done, ie score lots of goals for the team, he could have been in the England setup at a time when they were looking to youth, as the team lineup v Germany last Saturday proved. I feel like he’s wasted a season, but I also think the club were right to hold out and not sell him. If “big” clubs want our players they should be prepared to pay our valuation. It’s about respect. Now, he seems to be forming a good partnership with Rondon and that, to some extent has given us a glimpse of what we’ve been missing. Make no mistake though, that young man is a class act. Did you see our problems coming or were you surprised we’ve done so badly this season? It’s difficult to comment because I don’t watch you every week. 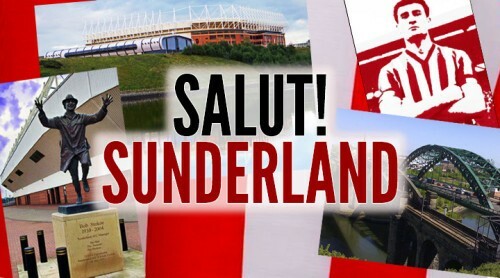 Is there a single SAFC player you’d take for your squad? Patrick van Aanholt. Just because of our lack of specialised full backs, he would be an asset to our side. Then, Jonny Evans can go back to centre half. Sorted. What will be this season’s finishing top four? Living in North West Leicestershire I’m rooting for Leicester. A breath of fresh air, an incredible achievement to whatever the outcome. I’m friend with lots of Leicester fans and they still can’t quite believe it. If that was us , I wouldn’t be able to eat or sleep. God luck to them. And, sparing no feelings, the bottom three? What is your view of diving – something we should stop getting worked up about as it has become so prevalent, or still worth stamping out along with other forms of cheating? It’s cheating, and it should be stamped out. If someone dives, and the officials don’t see it on the day still punish them. It should be severe too. If a player dives and they get a penalty and score from it, the result won’t change but it would soften the blow, shall I say. Cheats must be made examples of. Even players in my team, I find it embarrassing and it reflects badly on the entire team. It’s cheating the supporters too, me and you. 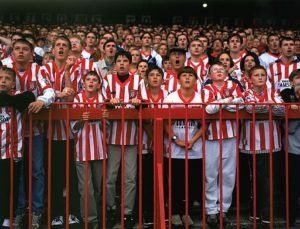 One step the football authorities should take – beyond the recently announced £30 cap on away tickets – to improve the matchday experience of ordinary supporters? Something that drives me mad is supporters who stand in front of me (see a kindred spirit, Dawn: Ian Todd on the same subject – Ed). Now, I’m all for standing if that’s what people want but have specific areas for them. Like at the back. I say this for two reasons. Firstly, my mum has rheumatoid arthritis and can’t stand for very long. She pays for her tickets like you and I and it really @@@ me off when she can’t see the game. I could proper fall out with people about it. Secondly, my lad has been coming to matches since he was four. He’s 18 now. I remember him being so excited as we were going to Highbury. He loved Vieira. He spent the entire game standing on his chair, he still couldn’t see properly. I spent most of the time making sure he didn’t tilt it and slip down the back of it. Like I said, I haven’t got a problem with standing, but those who want to, give them specific seats where they won’t affect anybody else’s enjoyment. Yes, I’m coming to the match. Mum, my daughter Taylar is coming back from the University of Kent for a few days to come and also my son Matt is coming. Score? Hate saying this but I think you’ll win , purely because you have to. * Dawn Astle on herself: I’m 48 and live with my long term partner (23 years), Alastair. We have two children, Taylar 19, and her brother Matthew, 18. I became a grandma last September to the most beautiful little boy named George Jeffrey. He’s seven months old now. The spitting image of my son when he was a baby. We couldn’t love him more if we tried. Love my sport, love my football best of all. Can be seen on Wednesday nights watching Matt playing for Ashby Ivanhoe Football Club in the Leics Midweek Foodlit League and Sunday’s watching him in the Burton Junior League. Will watch most matches on the TV, whichever league. Apart from football, love my horse racing. Cheltenham Festival a real highlight of the year. 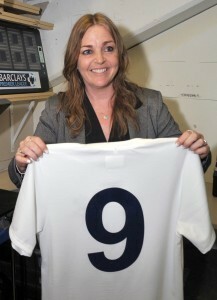 Should have been a boy!!!! As you can probably guess, a real daddy’s girl. Always was, always will be. Miss him every second of every day. 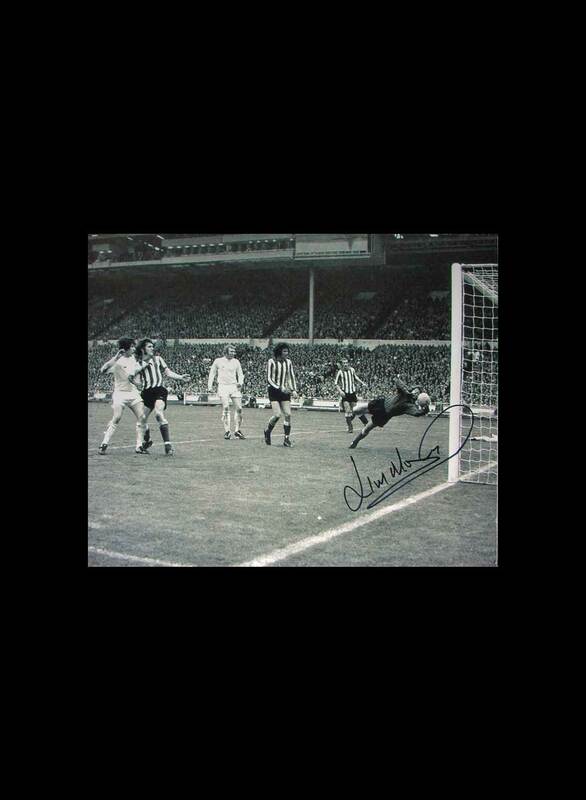 Tags: Colin Randall, Dawn Astle, Jeff Astle, Sunderland A.F.C, West Bromwich Albion, Who Are You? 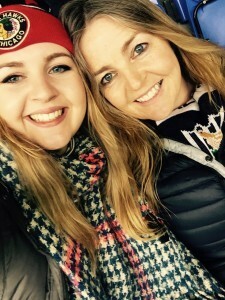 Great interview answers from Dawn – a proper footie fan, as well as the daughter of a memorable player from my childhood. Jeff had a great sense of humour too – a great character.